You should see your dentist on a regular basis for cleanings and screenings, but now you can have your dentist improve your smile with cosmetic dentistry treatments. Procedures like veneers and dental implants help your health and your appearance. Keep reading for the answers to some questions about cosmetic dentistry. Cosmetic dentistry has something for everyone . Whether you’re looking to achieve a brighter, healthier smile or you’re in need of a replacement tooth, cosmetic dentistry may have the answer. If you have a particular issue that you would like to address, you can talk to your cosmetic dentist about treatment options and find the one that makes you feel as comfortable and confident as you deserve to feel. When you chip, crack or break a tooth, dental veneers can come to the rescue. Veneers will cover up your blemishes and boost your confidence, and you can expect them to last for a long time if you take care of them properly. Veneers are placed over your existing teeth, and your dentist will only have to shave off a small amount of enamel in order to make room. They can be used to add more surface area, fill in gaps in your smile, and even brighten up your teeth. 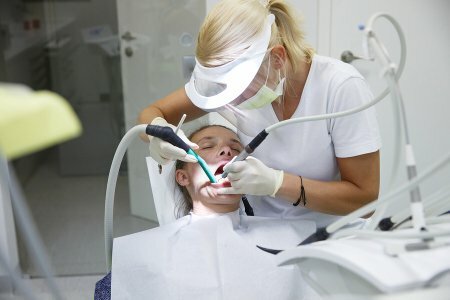 Should I seek teeth whitening? If you’re self-conscious about your smile, teeth whitening might be what you need. While some people are wary about teeth whitening because of perceived dangers, the process is actually quite safe. 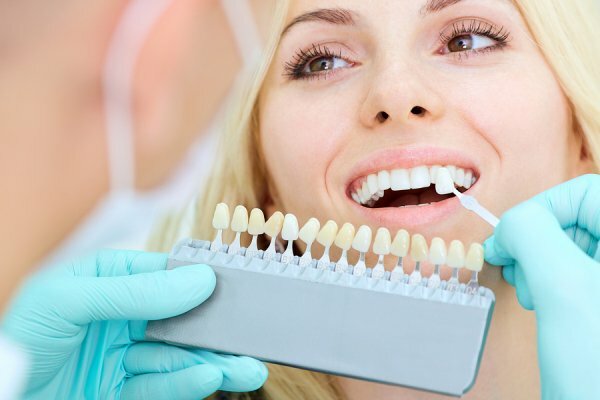 As long as you work with a top dentist in NYC, you can rest assured that your teeth whitening procedure will go according to plan. That means that you can start enjoying your new smile right away, and you won’t have to worry about negative side effects. Whether you’re looking for tooth implants or veneers, why not work with some of the best dentists serving NYC? Call Park 56 Dental at (646) 783-3529 or stop by our offices. Alternatively, you can visit our website for a quick look at some of our services today. If you feel like you could be happier with your teeth, you might want to look into Invisalign in NYC. Take a look at this video to hear Invisalign moms share their testimonials. Making your mother happy is essential, and you can do just that with Invisalign. Your custom aligners can make a substantial difference for your smile, and they tend to be more comfortable and convenient than traditional metal braces. You’ll also get the chance to see what your smile will look like down the road. You can join the ranks of moms who have changed their lives with Invisalign in NYC. All you have to do is call the top dentists of NYC at Park 56 Dental at (646) 783-3529. You can also check out our website or stop by our practice to meet with us today. When you book an appointment with a top dentist in NYC, there is a good chance that a dental cleaning will be included with your procedure. In fact, dental cleanings are an essential part of taking care of your oral health. During a dental cleaning, your dentist or hygienist will use special tools to remove plaque and tartar from your teeth and gums. Along with cleaning the surface of your teeth, your hygienist will also use a special paste to polish your tooth enamel. After your dental cleaning is complete, your teeth will look shiny, healthy, and beautiful. If you would like to set up a dental cleaning with the best dentist in New York , contact Park 56 Dental by calling (646) 783-3529. Our offices provide a full range of dental services, ranging from routine cleanings to emergency root canal procedures. With our help, you can achieve great oral health that will last you for a lifetime. When you visit a top dentist in New York City, you can expect to receive cutting-edge dental and orthodontic care. Invisalign braces are a terrific option to consider if you would like to discreetly straighten your smile. These clear braces are nearly invisible, and can restore your smile in a manner of a few months. Let’s review some essential questions to ask your dentist before you start your Invisalign treatment. Invisalign braces work similarly to conventional, metal braces, in that they gradually move your teeth into a straight position. Unlike conventional braces, which use bulky metal brackets, the Invisalign treatment plan relies on clear, plastic aligners. Throughout the course of your treatment, your dentist will create a series of custom aligners that will gently straighten out your teeth. 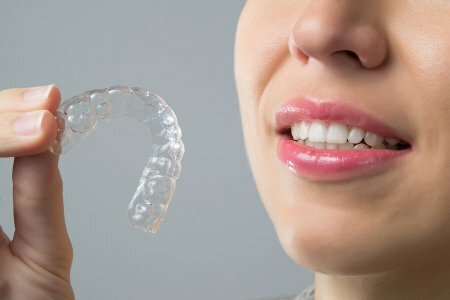 Do I have to wear my Invisalign aligners all day? The more frequently you wear your Invisalign aligner, the quicker you can expect to see results. Typically, your dentist will recommend that you wear your aligners at least 20 hours every day. Your aligners can, however, be gently removed for eating, brushing your teeth, and performing other activities. Your Invisalign aligners will start straightening your teeth as soon as they are fitted to your smile. By making sure that you wear your aligners as recommended, you can expect to start seeing results in as few as a few months. Since individual results vary, you should talk to your dentist about how long it will take for your specific treatment plan to take its course. For additional answers to your questions about Invisalign NYC , get in touch with Park 56 Dental. We are proud to offer top rated general dentistry and orthodontic procedures to our patients of all ages. To learn more about how our team of experienced dentists can help you achieve the smile of your dreams, give us a call at (646) 783-3529.